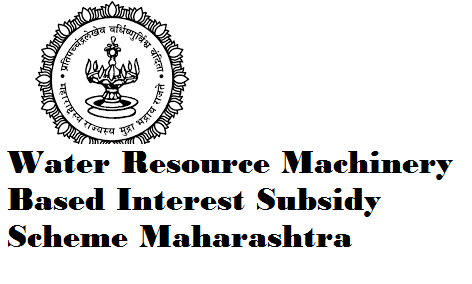 The state government of Maharashtra has announced the invitation for online application forms from the applicants who want to take benefit under the water resources subsidy scheme. The scheme is open for any applicants – educated, cooperative society (unemployed), Unemployed, Cooperative society (Primary agriculture) or Group farming applicants. The state government has kept the scheme for registration open for any candidate who belongs to the state and wants to take the benefit under this scheme. The applicants can directly get registered currently on official website of Aaple Sarkar. According to the statements made by Maharashtra government, the services of the web portal can be availed by any person who wants to take the benefit under this scheme for subsidy. The state government under the new scheme is providing the candidates with subsidy scheme that will be offered financial assistance to the candidates in the form of interest free subsidy. The subsidy thus offered will be valid for Earth Movers – water resources machines. Using the benefit of the new scheme the farmers can take the advantage of conserving ground water resource by digging wells. This will help farmers to maintain their stock of ground water. According to the state government the implementation of the scheme will help farmers to boost their agricultural activities. The state government has also made it very clear that to get registered under the scheme the farmer will have to apply on or before 31st January 2018. From the home page of the web site you may have to look around for water resources machinery subsidy scheme option from the main page. Once located just click the link. You will be redirected towards the new web page where you will be provided with the interest free subsidy scheme application form. All details are to be filled in by the applicants. You may have to make the selection of right option from the drop down menu and provide details of Village name, district, taluka. After that you will be able to complete with the entire process of registration. You are also allowed to log in using the mobile phone number and Password on the official website. On the application form you may have to provide with details related to your personal information and other bank account details. Once all details have been provided you just need to submit the form online. The state government has offered with the above mentioned benefit to the people and state farmers so they can get sufficient supply of water for their farm land or for other purpose.